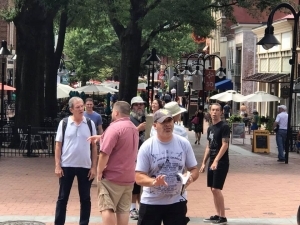 Preaching at Heather Heyer Memorial as a professing Christian tries to detract the preaching. CHARLOTTESVILLE, VA – On Saturday, August 12, 2017, Heather Heyer was murdered by a member of a white supremacist group who ran protestors over with his vehicle. 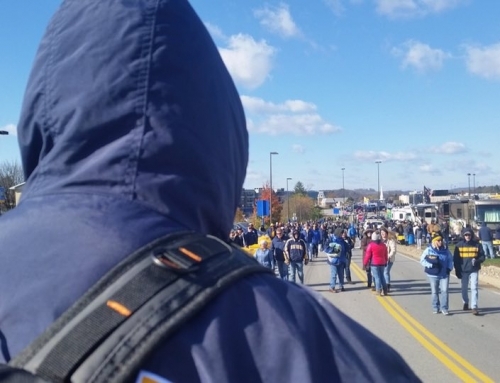 The story garnered national headlines and ignited many other protests across the land. As I was finishing dinner the following Wednesday evening, I received a call from brother Bobby McCreery of To the End of the Earth Ministries. 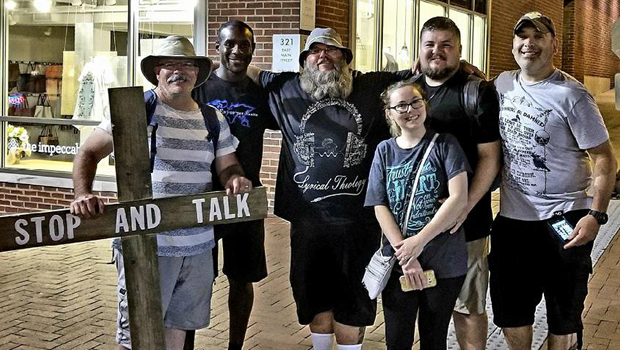 He was driving from GA to Charlottesville to meet up brother Tony Miano of Cross Encounters Ministries and some others to share the Gospel of Christ to the broken. I was able to join them Friday. 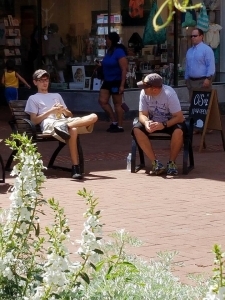 Tony, Bobby, and the gang setup Thursday morning in the middle of the Charlottesville Historic Downtown Mall across from the memorial where Heather Heyer was killed when a man barreled through the crowd in his car. 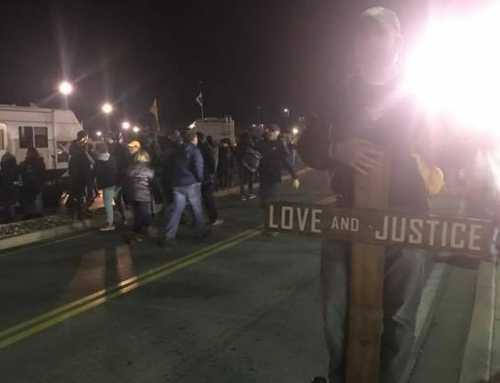 Many folks would come, stop, and reflect on the events that took place there. At one point, a man introduced himself to Tony as Mark…Mark Heyer, Heather’s father. They hugged and weeped for a moment on each other’s shoulder. The victim’s father thanked the group for being there and to continue preaching the Gospel. As open-air preachers, we never need man’s approval. Yet, this divine appointment would serve as a trump card for many conversations that would follow when some would ask us to stop or unhappy with us being there. The group continued to preach throughout the day with more adoration from folks than opposition. Of the opposition we faced, sadly the most hateful splinter were professing Christians. Reasoning with a man named Arden about the Gospel. After a few moments of describing why we were there, she explained that she identified as part of the LGBT community. She then asked what his view as a Christian of the LGBT lifestyle was. 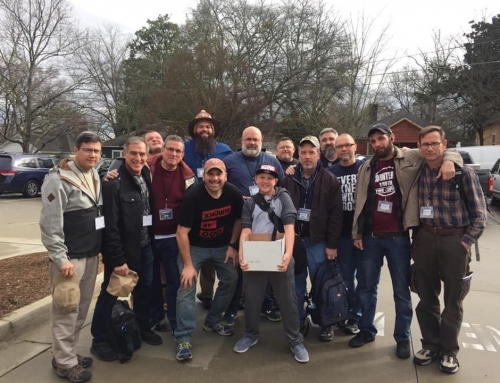 What took place is a textbook example of how to Biblically engage the LGBT community in truth and love. As the conversation drew to a close, Tony expressed to her that he loved her as fellow human being. Her eyes filled with tears as she wandered off. You could tell that no father figure had ever told her anything like it. THIS IS A MUST SEE. (Watch conversation here). Pray for Jenkins. Reasoning with Ethan who walked away from Christianity. I noticed a young man sitting alone on a park bench in the square and approached him. 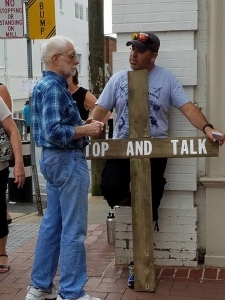 I sat next to him to ask what he thought about the message that was being preached. He confessed that he “used to be a Christian” but had “renounced his faith in Christ”. The reason why was a shockingly honest assertion of the state of a typical, American evangelical church today. He left the faith because “so many in the church say they believe, get baptized, and then just live as they wish”. He continued, “I mean what’s the point? There’s really no difference. I can be just as good without it. Plus, I cannot believe such a message.” I was stunned at his honesty, but glad to know how he felt to move the conversation forward. After a few questions, I began to walk him through the law to expose the fallacy in his thoughts that he was a good person that did good things and that would satisfy God when he died. He eventually admitted that we have to appeal to an objective standard outside of ourselves, God and heard the Gospel. Pray for Ethan. 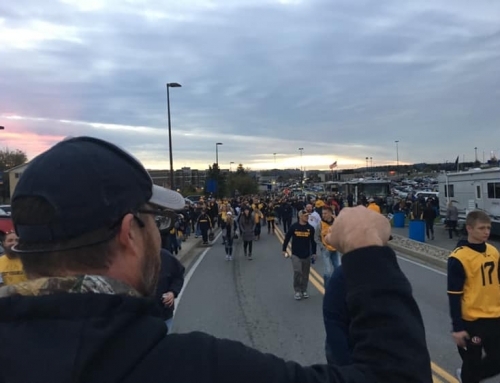 I hit the road around 4:45 Friday morning and arrived to meet up with the group shortly after 8 am at the hotel in Staunton. We gathered our equipment, piled in Tony’s car and headed back to ground zero. As the day before, we were extra mindful of our tone while on the box preaching due to the sensitivity of the situation. And for most of the day, it served us well as most were still receptive to the preaching of the Gospel. A minister’s daughter does not like the preaching of the Gospel. Of the opposition we faced, sadly the most hateful splinter were professing Christians. 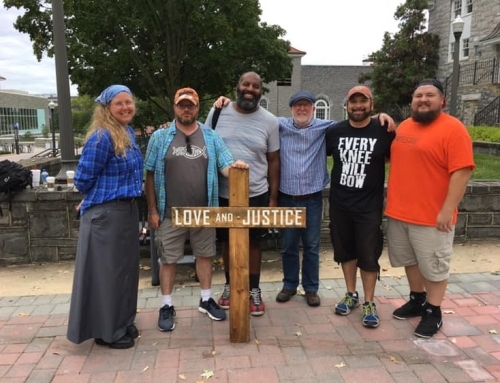 Many had a wide variety of ideas of how we should minister to the hurting in Charlottesville. Yet not one of those ideas included the preaching of the Gospel. As I preached my last sermon for the evening, a lady came rushing across the square out from the crowd. Tony intercepted her before she could get to me. I continued to preach as he tried to reason with her. I could literally see the scowl on her face and see her gnashing teeth before I heard her! She even made sure we knew she was a minister’s daughter, as if that would nullify the Biblical example of open-air preaching. 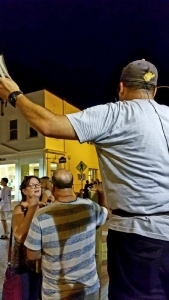 She no sooner walked away before another lady stormed over wearing a cross necklace, claiming to be a Christian as she yelled against the preaching of the Gospel with alcohol-laced breath. Despite some of the opposition, God was faithful in not only protecting us, but sustaining us as well. As the day wore on with mid-90s on the thermometer and close to 100% humidity, God sent folks by throughout the day with a cold bottle of water and a kind word of encouragement. It was a privilege and honor to lift the name of Christ as a light in such a dark place with so much despair.